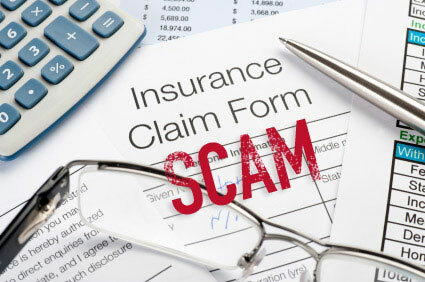 Insurance scams seem to be one of the top preferred methods to solve people’s financial problems. What most people don’t realize though, is that insurance companies have ways and means to detect fraudulent claims and when they are suspicious about a claim but can’t prove that the specific claim is fraudulent, it gets referred to an investigations company who more often than not, gets them the proof they are looking for. And sometimes tip offs to the police get the suspects exposed before the insurance company even realizes that the claim is fraudulent. In Pietermaritzburg recently, a woman reported her car stolen after a night out. According to Police spokesperson Captain Thulani Zwane, the woman claimed she parked her car at the venue at 20:00 and didn’t notice anything or anybody suspicious. She claimed the car was properly locked but when she returned two hours and fifteen minutes later at 22:15, the car was gone. She looked around and asked people in the area if they had seen anything but nobody had any information. Captain Zwane said the police started an investigation but before they had any substantial information they were tipped off about a suspiscious looking car parked at Emboyi, near the Mkhambathini area. Upon investigation it was found that the vehicle had no registration plates. Police confirmed that the car was stolen by checking other details and after further investigation a 29 year old man was arrested. He claimed that a woman asked him to take her car and burn it because she wanted to claim from the insurance. The amount of money he was paid to do this for her is unknown. He decided to not burn the car but instead keep it for himself and removed the number plates. He planned to hide the car for a short period of time before replacing the number plates but before he could do it the police was tipped off and the vehicle was found to have been reported stolen. To protect himself he told police that the owner of the car wanted the car burnt so she could claim from insurance. Upon further investigation it was found that the woman had financial difficulties and was indeed planning to submit a fraudulent claim. The value of the car was around R65 000 (sixty five thousand Rand) and the money would have helped her to get out off financial trouble. The two will appear in court shortly but one wonders if it is even worth prosecuting them as the punishment for fraudulent insurance claims are not harsh. Taking into account the average sentences for short term insurance fraud range between R10 000 (ten thousand Rand) and R20 000 (twenty thousand Rand) or between 2 (two) and 4 (four) years in prison which is often wholly suspended, it is clear that punishment is most definitely not harsh enough to act as a deterrent to the perpetrators of these crimes. The South African short term insurance industry estimated an annual loss of around R6 billion Rand per year as a result of fraudulent claims. These losses have to be recovered from somewhere and the logical route would be to increase premiums which in turn punishes innocent people. Is it not time that we start looking at harsher sentences for convicted perpetrators? Is the lack of proper punishment the result of more and more people looking at insurance fraud as a way of income? It surely seems that it is an easy way to acquire cash as only a few of the perpetrators are actually prosecuted and of those prosecuted and convicted, most receive very light sentences or prison sentences are wholly suspended. The argument that these crimes are committed by perpetrators battling to survive is not valid either, because statistics revealed that people from all walks of life are involved. From accountants, lawyers and doctors to the working class. The obvious solutions to stop or even minimize faudulent insurance claims are to firstly educate the broader public to understand the importance of reporting any suspicious activity around claims, as well as to give out much, much harsher sentences to convicted perpetrators. Only if examples are made of a few, will the rest take notice.